With my new and cursory knowledge of WordPress I have managed to complete my major resolution for 2009, 2010, 2011, 2012, 2013, 2014! I have an up-to-date website/blog. So, happy bleeding 2014! The year has started off well. I have made it on the Audible Best of the Year list in the Teen section, for the audiobook of Gail Carriger’s Etiquette and Espionage, and a few other titles are ending up on ‘top ten’ and ‘best of’ and wotnot for 2013. 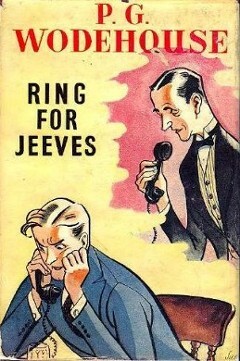 And, very happily for me, as a diehard Wodehouse fan, tomorrow I start four days of recording for a BBC radio production of Ring for Jeeves. Two fun facts: I play Jill, and this is the only Jeeves book where Bertie is absent! I will do my best to tend and maintain this resolution. Now… Taxes!